4. I make my darling nieces call me F.A.D. (Fabulous Aunty Dallas) – these days Fabulous does just fine! Thank you so much! I am honored to accept, and will pass this on. I also look forward to checking out the other recipients’ blogs. It was a fortunate day that I found yours. What a lovely thing to say so you have made my day too! Thank you so much. Extremely flattered. 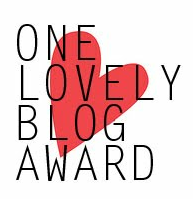 well deserved, I love looking at your blog – makes me wish I was a bit more creative! I’m usually only Fabulous when they want something!!! More congrats! I HATE these posts- it means there are a whole lot more bloggers to meet and not enough hours in the day to meet them! Admittedly it is hard work but it’s so rewarding and yes I’m the same as I can’t help myself and have to peruse all the other nominations and the next thing you know, half the day’s gone but I do enjoy playing Santa! Thank you so much “Fabulous” – you’ve made my day! What a cool message to wake up to. I think I’m liking this blogging stuff …..
Ha ha – if only! Glad I made you smile today! Really enjoying following your links and discovering new bloggers too! Thanks for the award!! Finally getting around to things here at oceannah! Thanks so much for the nomination! I am flattered and love your blog as well!